The information reaching Kwarareporters now have it that the seven (7) Federal Inland Revenue Service (FIRS) slot that was given out to ilorin indigenes early hours of today by the Senate President, Dr Bukola Saraki through his constituency office is fake. 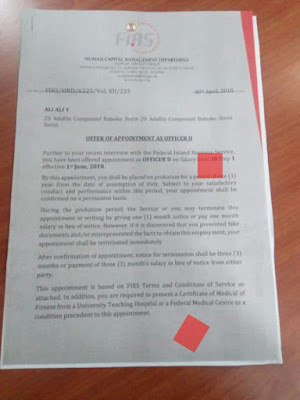 According to a post trending on social media that contain the employment letter issued to the beneficiaries of the Senate President job slot stated that "the employment letter issued to the beneficiaries are not genuine". Everything about saraki is Fake and phony. 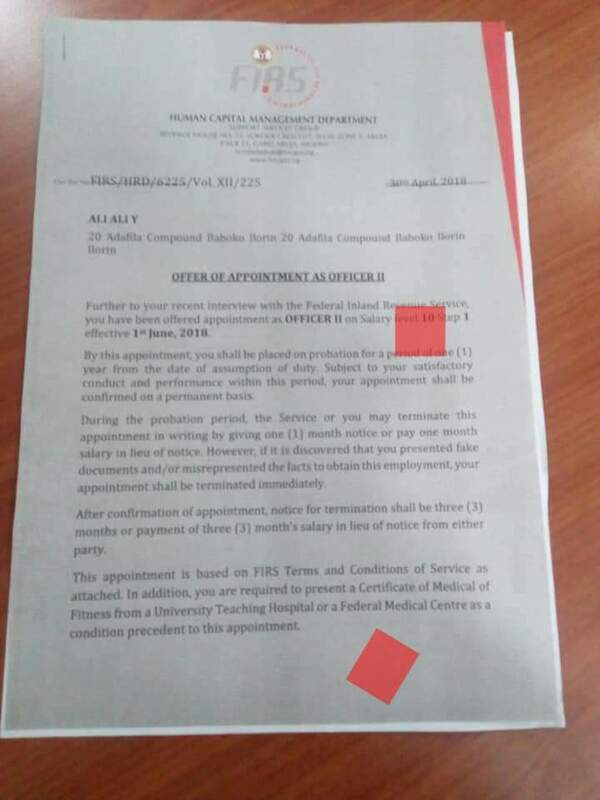 Saraki has started distributing fake appointment letters to his political voltrons in Kwara. 2) The appointment letter was not signed or notarized by any authorised official. All these dummy appointment letters are political cajole for 2019. You are a mumu of the highest order.